Southern Chrysler Dodge Jeep Ram is excited to offer this 2018 Ram 2500. This vehicle comes with 4WD for better traction on unstable surfaces, like snow and dirt to give you the edge over anything you might encounter on the road. You've found the one you've been looking for. Your dream car. Just what you've been looking for. With quality in mind, this vehicle is the perfect addition to take home. 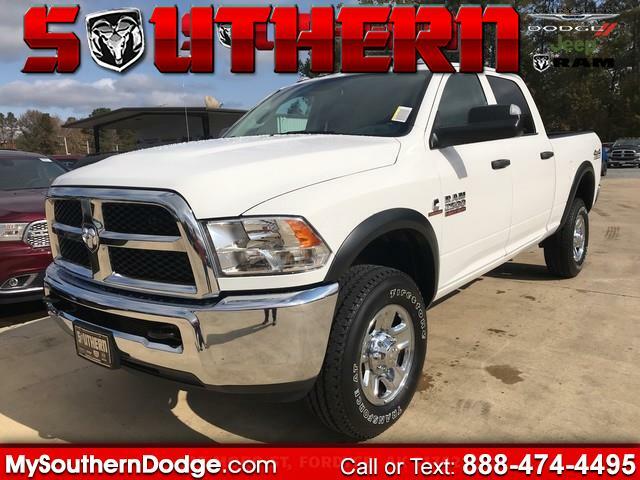 Based on the superb condition of this vehicle, along with the options and color, this Ram 2500 Tradesman 4x4 Crew Cab 6'4 Box is sure to sell fast.